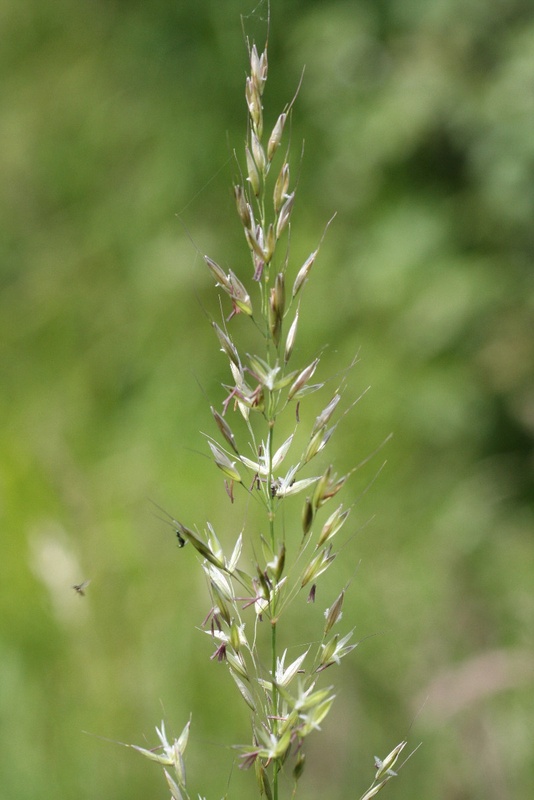 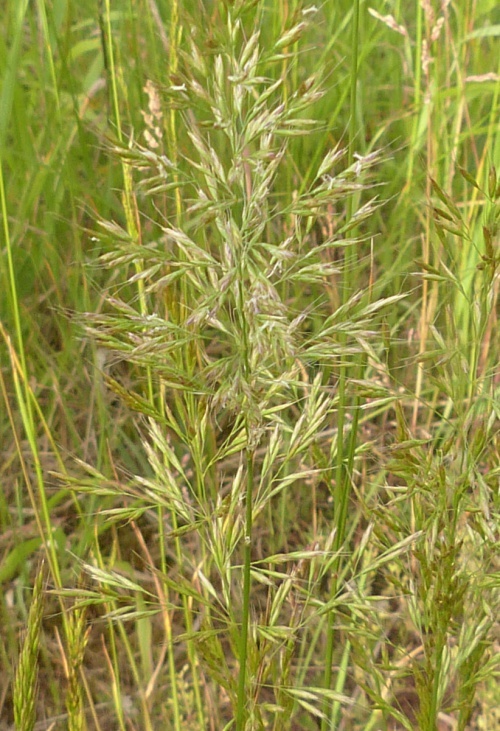 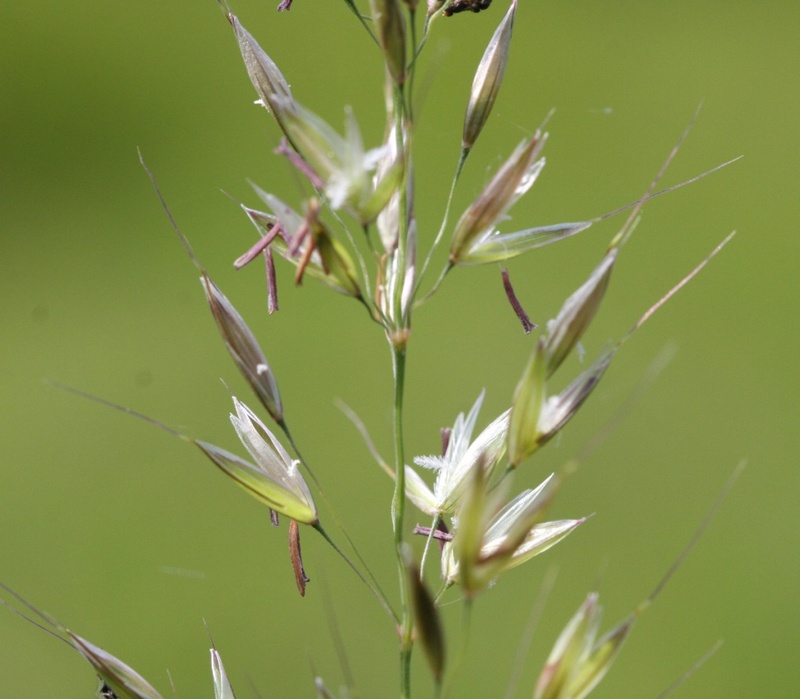 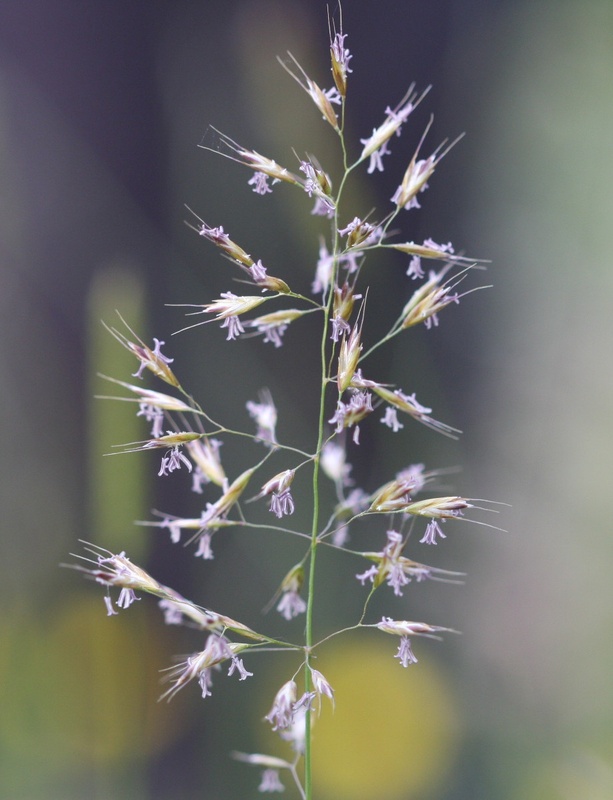 Yellow Oat Grass has a short rootstock forming loose tufts. The stems are from one to two feet high, very slender, and leafy to about the middle. 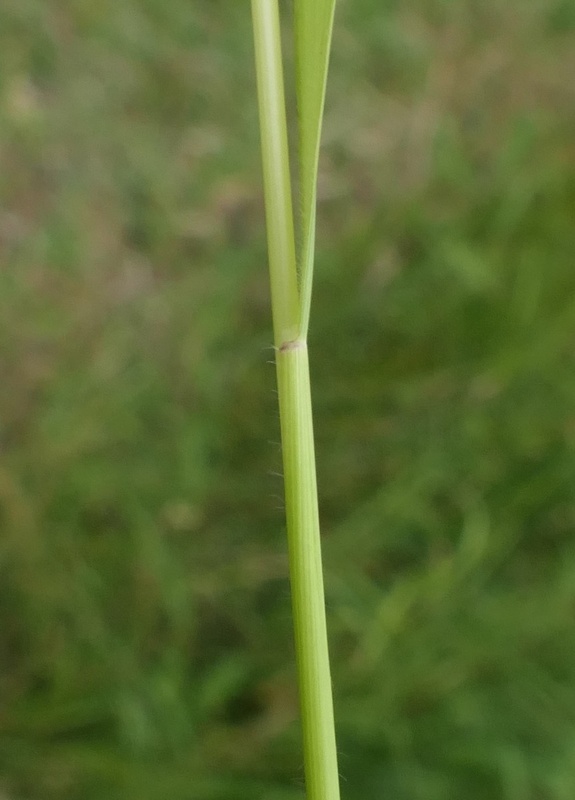 Secondary shoots develop from the base of the stems. 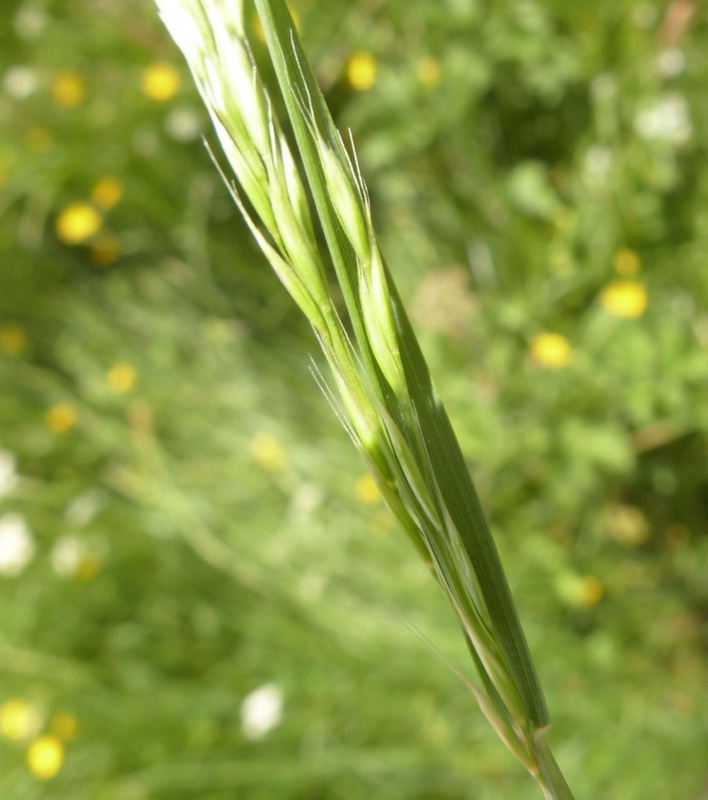 They sprout from buds within sheaths of old leaves and are at first enclosed by them. In the development of the shoots the old sheaths burst, and thus the base of the stems becomes surrounded by the ragged remnants of brown old sheaths. 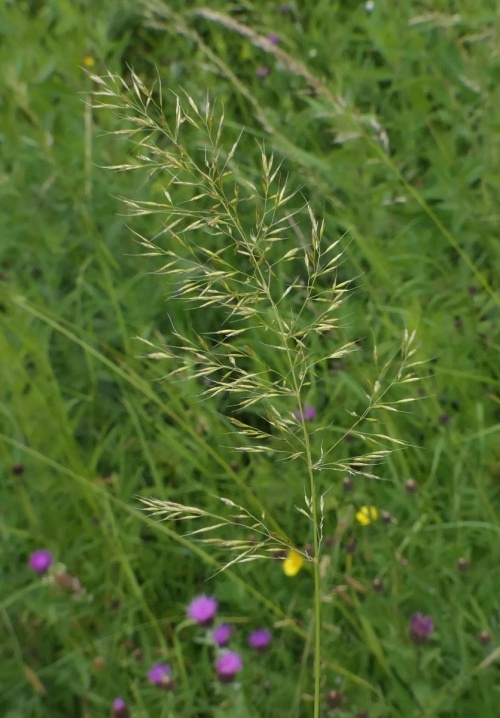 The numerous spikelets are green at first, but toward flowering time they turn a beautiful golden yellow-hence the name of the grass. 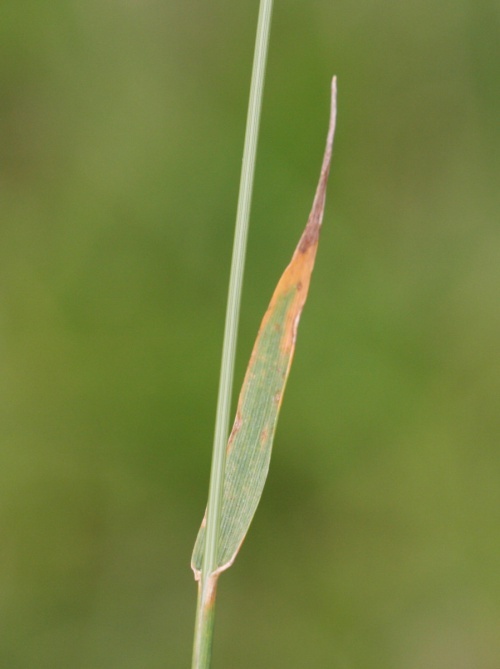 After flowering they assume a duller, yellowish-brown shade. 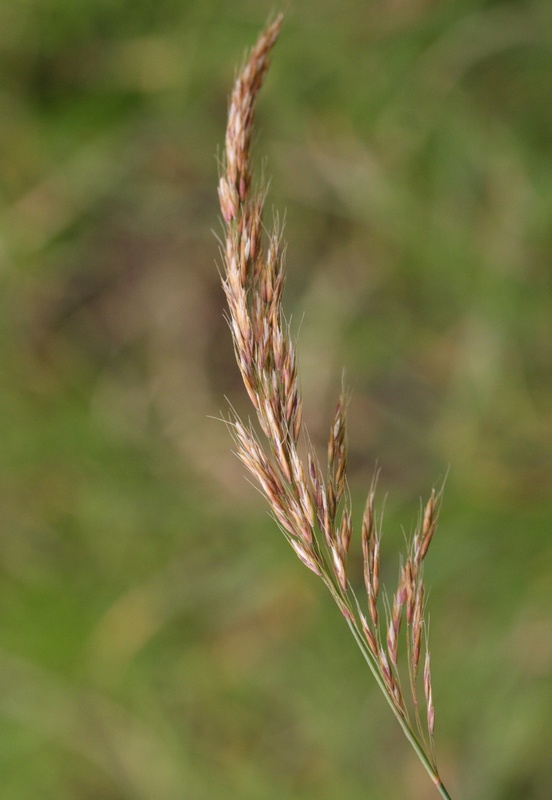 The Latin name Trisetum meaning 3 bristles, refers to its its 3 awned lemma. 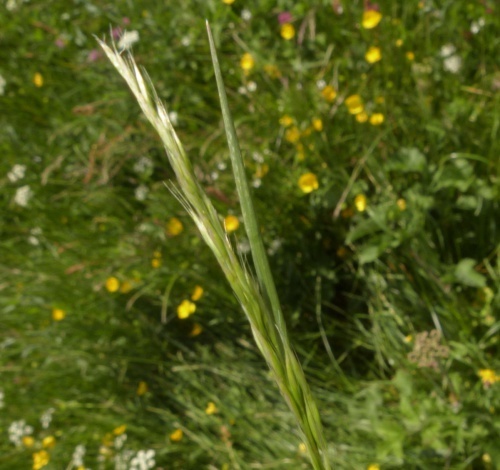 Widespread and fairly frequent in much of Britain except for some parts of northern Scotland. 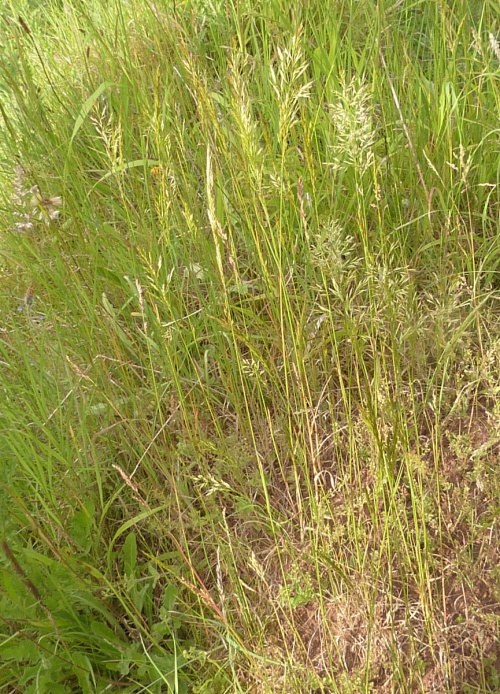 Frequent in Leicestershire and Rutland. 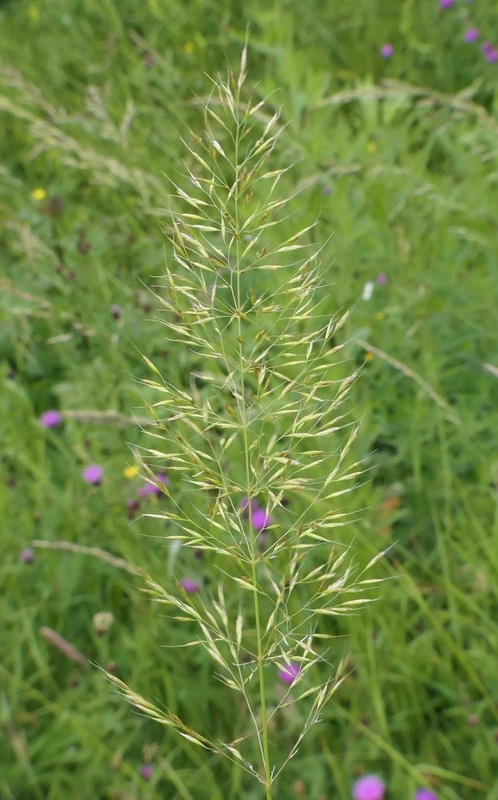 In the 1979 Flora survey of Leicestershire it was found in 403 of the 617 tetrads.